Completed LL.B. (5 years) from Kerala Law Academy Law College, LL.M. from School of Legal Studies, Cochin University of Science & Technology and presently pursuing Ph.D. at Department of Law, CMR University. 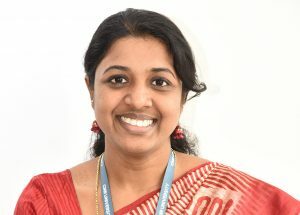 Qualified UGC â€“ NET in the year 2003 and started teaching career in the same year. Working as Assistant Professor at CMR Law School since 2009. Paper presented and published on â€œRight to Life and Capital Punishmentâ€ â€“ International Human Rights: Prospects & Challenges, 2016 edn. (ISBN: 978-93-84166-18-2). Paper presented on â€œDisparity and Discrimination in Sentencingâ€ at G. K. Kare Law College, Goa and received the â€˜Best Paperâ€™ award. Paper published on â€œDisparity and Discrimination in Sentencingâ€ â€“ International Journal of Legal Research Vol.3/Issue 4(1) June 2017 (ISSN-2349-8463).